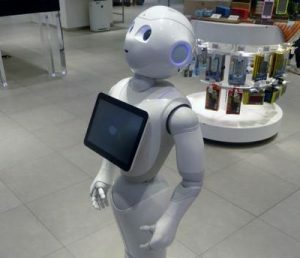 In China, China Construction Bank opened a branch in Shanghai, where only robots are engaged in customer service. The new self-service office employs several smart robots that offer customers a wide range of services, from opening an account and transferring money to investing in gold and money management services. At the entrance, visitors can consult a friendly robot who answers questions using voice recognition.